Aroma Diffuser offered come in exclusive soap tone construction finish and feature enchanting patterns that provides in the product an enhanced finish appeal. 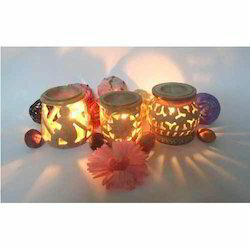 Further, its beautifully carved and smooth polished finish also makes these add on to the surrounding interior décor. Some of its features include superior finish standards; available in different construction design options to choose from; available in vibrant and attractive designs; suitable to be used at homes, hotels, resorts. 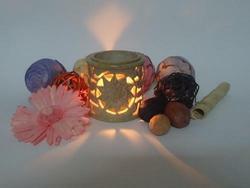 Aroma Lamp offered is made available by us in enchanting pattern choices and provide for perfect usage support at homes as well as in places like hotels and resorts. The exciting design options featured on these lamps also make these perfectly match up with aesthetic decor needs of the surrounding spaces. Some of its features include flawless and smooth finish appeal; provide for much needed functional usage and decor value for the interior spaces; helps in making the surroundings more inviting. 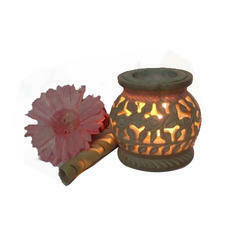 Soap Stone Aroma Lamp offered comes in exciting finish pattern designs and in exclusively crafted finish which makes these highly desired and demanded by the customers. Providing for rich presentation value, these lamps comprise trendy and durable construction finish and are made available in exciting work finish options to pick from. Some of its features include sleek contemporary designs; perfect finishing; suitable for use in libraries, study rooms, bedrooms & living rooms; match up with the emerging tastes and finish choices of customers. 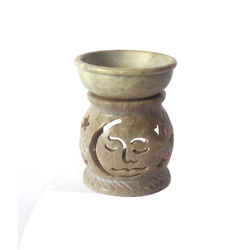 Looking for Soapstone Aroma Lamp And Diffuser ?